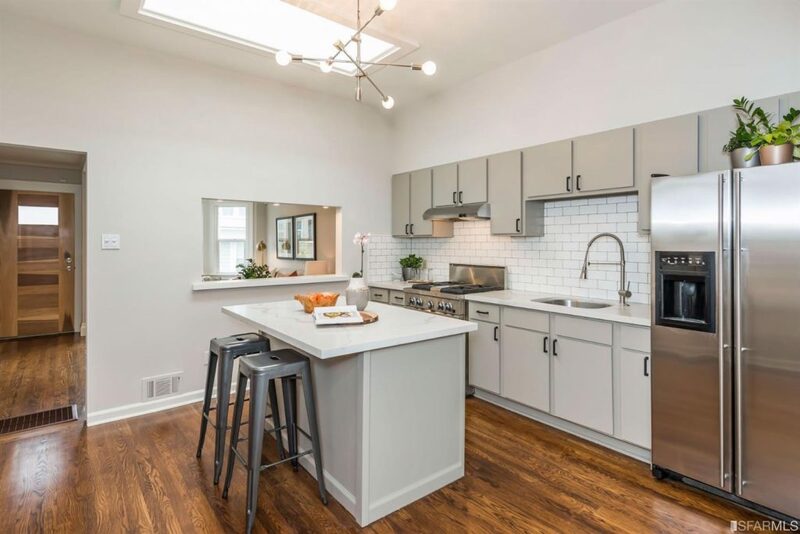 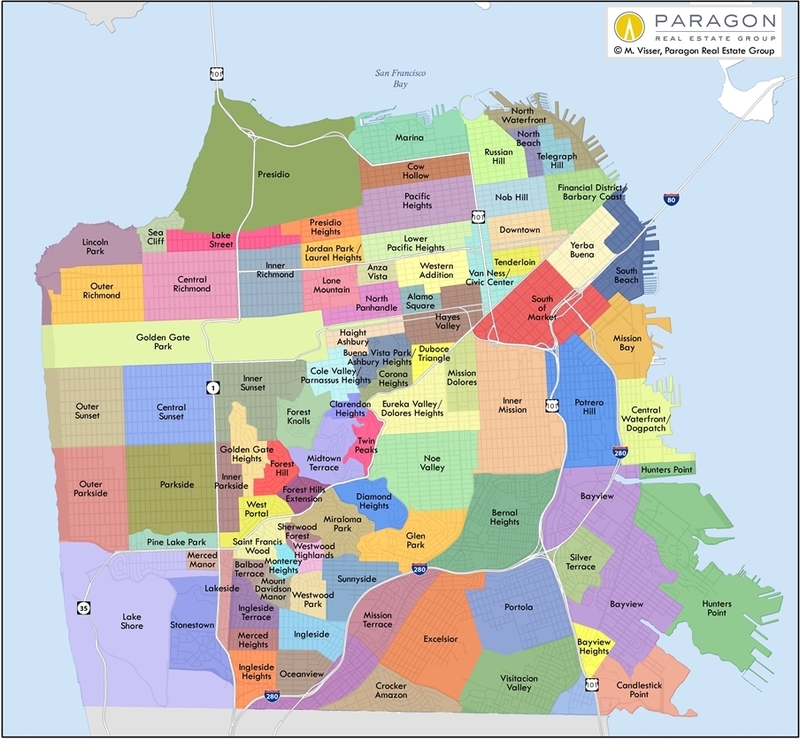 Where to Buy a HOUSE for under $1 millionThe overall median HOUSE price in the city in 2016 was $1,325,000, so the under-million-dollar house is becoming increasingly rare. 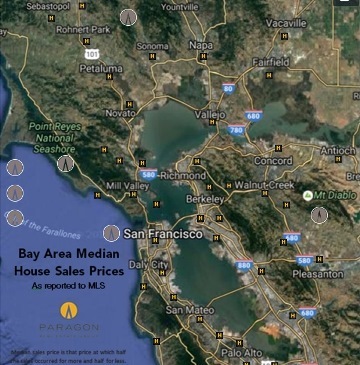 The analysis is based upon sales reported to San Francisco MLS in 2016 by December 22. 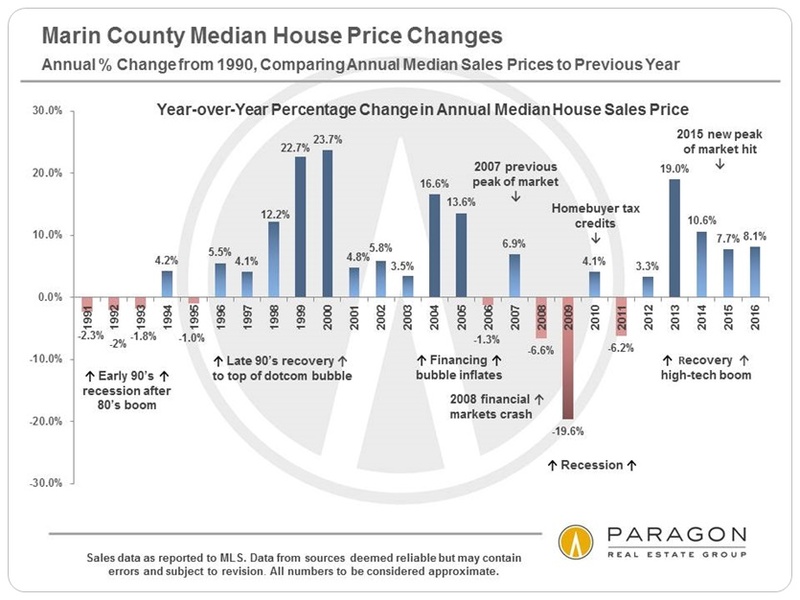 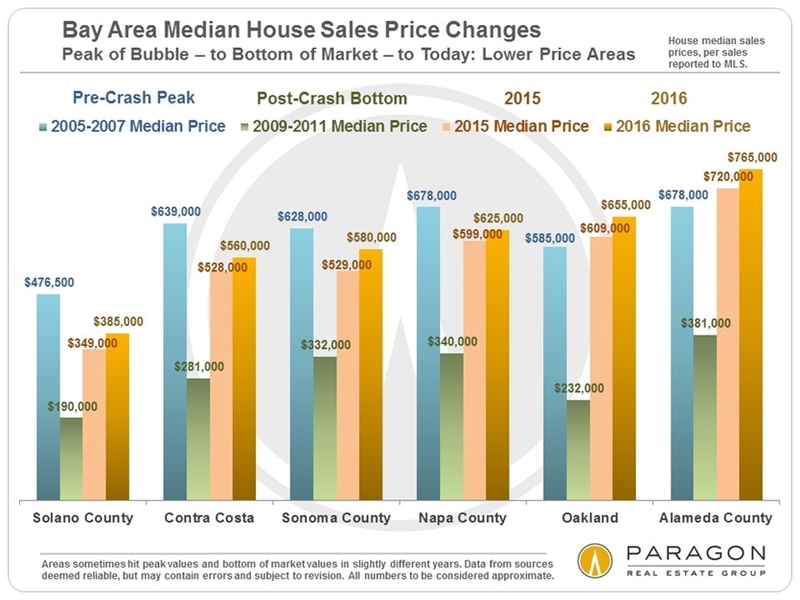 This chart below is specific to the Lamorinda & Diablo Valley market, illustrating median house price movements since 1996. 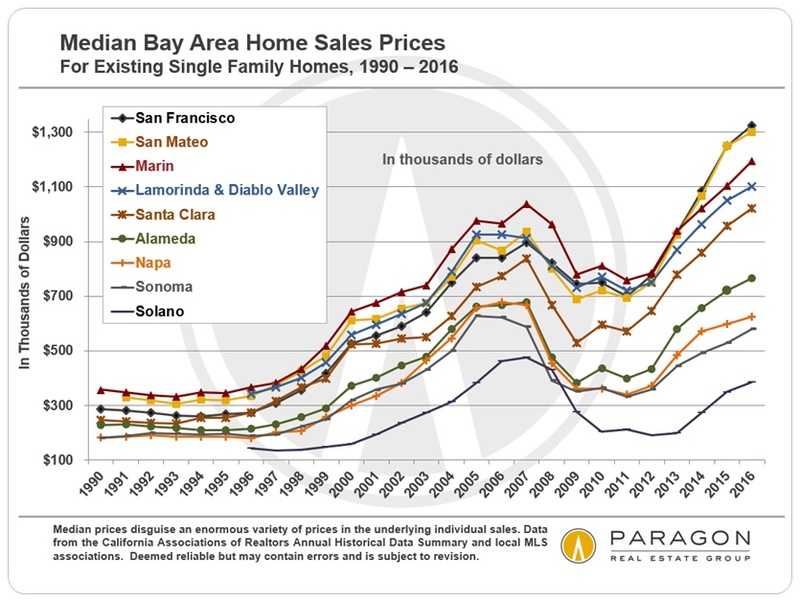 All parts of the Bay Area saw similar trends, though the percentages up and down varied between markets. 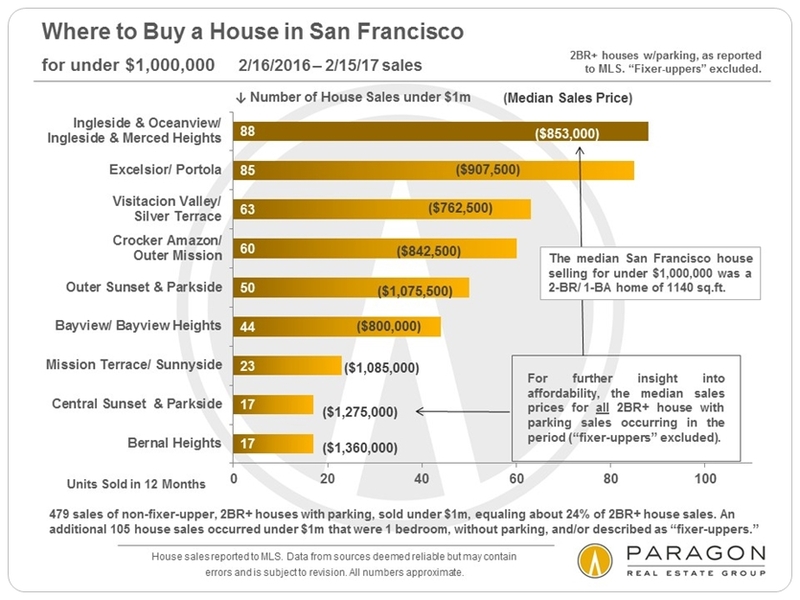 In this report, various price thresholds will be used for the luxury home designation, depending on when the chart was first created, if different property types are being combined, or simply to look at the high-end market from slightly different angles. 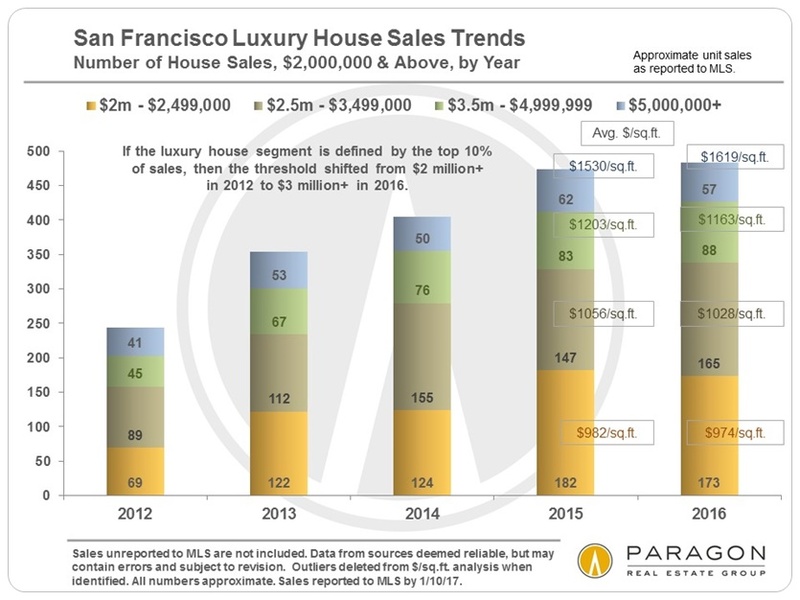 If the luxury segment is defined by the top 10% of sales, then the threshold in San Francisco for houses was approximately $3 million in 2016, and for condos, between $1.85 and $1.9 million.